Bricesco provided a Bespoke Engineering Solution to surpass competition from Demolition Contractors for the removal of High Level Carbon Black Silos, Feed Conveyors and Associated Equipment at a local UK Tyre Manufactures Premises. The six month project, carried out to the highest QUALITY and ENVIRONMENTAL conditions has been completed ONE MONTH AHEAD OF SCHEDULE. CUSTOMER SATISFACTION of our performance has resulted in additional work being placed which is currently on going. 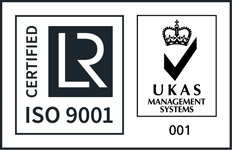 BRICESCO has recently had its accreditations for ISO9001:2008 Quality Management System and Construction Industry CE Mark Execution Class 1 to 4 renewed, continuing our BEST IN CLASS objectives. Bricesco specialise in the fabrication and assembly of equipment to third party design. This is ideally suited to OEM’s without their own in house facilities ( or with over capacity ) wishing to develop a reliable and lasting partnership. Recent contracts procured by Bricesco include the fabrication and assembly of equipment exclusively designed for the Steel Industry. Bricesco actively encourage the development of alliances with both UK and Overseas OEM’s and EPC’s seeking to develop a reliable and professional partnership for the supply of Fabricated Structural Steel or Bespoke Engineering Equipment within the UK market. BRICESCO is pleased to have developed a Working Partnership with a leading Technology Provider for the construction of Biomass Energy Plants within the UK. This has resulted in multiple and continuing orders for the supply of Access Steelwork fabricated to CE Execution Class 2 within stringent and short lead times. Bricesco are proud to be a Preferred Supplier to West Midlands based W2E Recycling Plant. The fabrication of Structural Steel up to CE Execution Class 4, the manufacture of Refractory Lined Manifolds and Pipework, and the provision of specialised installation labour are among the in house services being provided to this prestigious project. In addition to the supply of bespoke equipment Bricesco provide the labour for Installation and Maintenance work. Bricesco actively encourage the development of alliances with both UK and Overseas OEM’s and EPC’s seeking to develop a reliable and professional partnership for the supply of Fabricated Structural Steel within the UK market. Bricesco has commenced production to third party design for the supply of 100T of Fabricated Steel. Over 12 months after being one of the first UK companies to be accredited with Factory Production Control for Load Bearing Structures up to and including Execution Class 4, directors report a continued increase in sales for this exclusive capability. “Our customers recognise that there are a limited number of UK companies with the ability to offer the fabrication of structural steel to this high quality of production control. Bricesco Limited is proud to have been selected to Manufacture, Install and Commission these repeat Furnaces as a part of Major Expansion Project for one of the world leading Precision Castings manufacturers based in Worcestershire. The project maintains the excellent relationship developed between both parties over recent years.